Live call-in show hosted by James Hake, millennial, Christian, and news reporter for Jesse Lee Peterson, talking current issues, religion and politics. Sunday 9 AM Pacific Time (and Thursday 9am PT), based in Los Angeles, CA. Bigger Than the Wall is the culture change, thanks to Trump, Jesse, and other men standing up finally. - Illegals are self-deporting because it’s the right thing to do. - The Bible says: Wide is the road to destruction, a but narrow the path to life, and few who enter… WHY? - One man beats many. It’s not about numbers, or the crowd. Samuel from Sweden - Says governments in Europe are waking up thanks to Trump. Charles out of California - Says James and Jesse believe in double standards. Grant is a first time caller out of South Carolina - Wanted to comment on Trump’s rally that’s happening this week. Maze out of Ohio - Ask James how Christians are supposed to be acting. More great callers — thank you! - LA Times: Trump said barbed wire can be a beautiful sight. "Some communities" disagree. - Social media bans white advocates. - Pete Buttigieg is GAY. - CNN: Better late than never: A California woman never got the child support a court awarded her in 1971. Now her ex-husband has to pay it all, and 48 years of interest adds up. 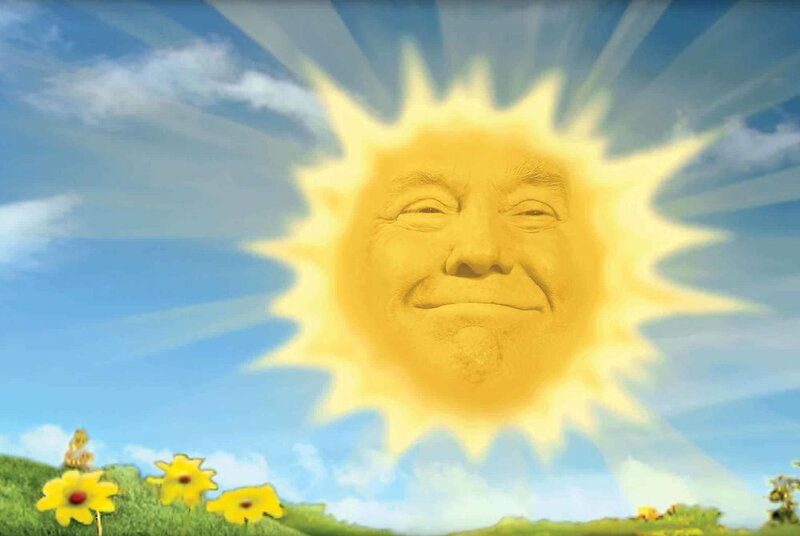 “Sunny Side of Trump” – taken from a Bloomberg tweet and Reddit.